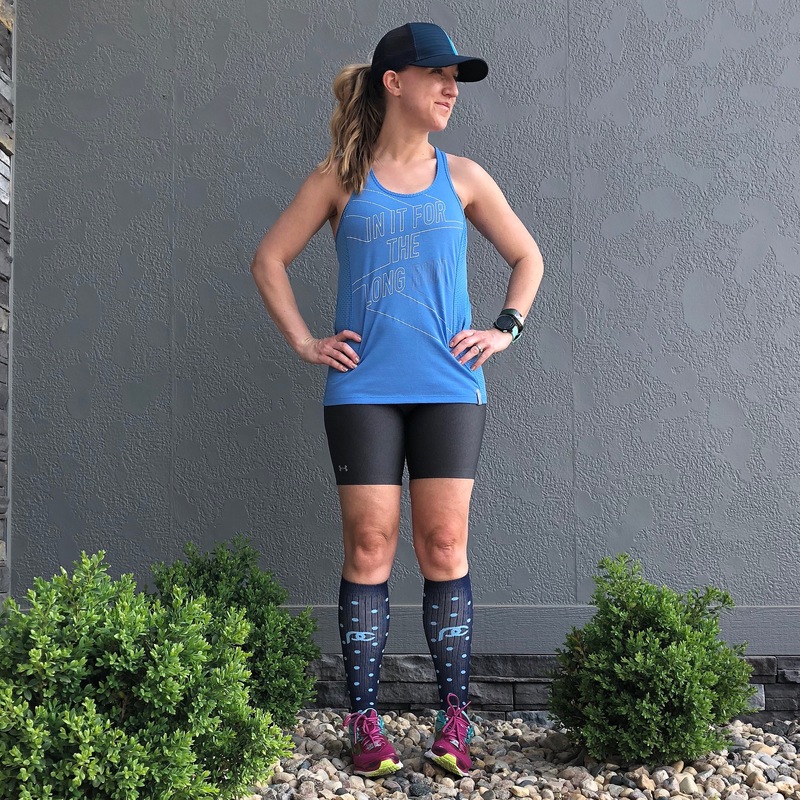 I am currently less than two weeks out from my last marathon and I am still processing what I consider a total disaster of a race. The weather was much warmer than anything I had trained in and, by 10 miles into the race, I knew it was going to be a rough day. It’s not fun to know you still have 16 miles left when you’re already feeling hot and tired, but I did a lot of walking and finished that dang race, much slower than any of my previous marathons. I should tell you this wasn’t my spring goal race. That doesn’t make an awful race day hurt any less. I knew I was fitter and faster than I had ever been, so had the notion in my head to just go for it on race day. When it all fell apart in spectacular fashion, disappointment set in. Post-marathon blues are a real thing. It can happen even after a good race. There is a letdown that happens when you’ve been training for something for so long and then it is just…over. When it’s over and it didn’t go well, the blues hit even harder. These past two weeks have been a process and I’ve found several things to help me deal with the feelings and come out stronger on the other side of all this. I am a classic Enneagram 7 in that I run away from bad feelings as fast as I can. This often looks like sugarcoating a bad experience and never really dealing with the disappointment, anger, sadness, etc. until they blow up on me. Not a great idea. The Monday after my last marathon, I was crabby all day, snapping at my kids and just feeling bleh about everything. When my husband got home from work, he could tell I was not doing well, so he took over making dinner and I went upstairs to our room for some quiet. And I cried. I didn’t even know I needed to cry, but as soon as I laid down on our bed, the tears just started flowing and I needed that so badly. Even a half hour later, I was feeling so much better because I was able to accept the awfulness of my marathon and let out all the emotions related to that disappointment. Cry, scream, punch a pillow – just let it out. You may not want to relive your bad race experience, but talking about it with a friend or coach OR writing about it in a running journal or on a blog can be very healing. I’ve often been surprised what has come to mind when I start verbally processing a race – things that I didn’t recognize were affecting me, moments I could have tried something different, blessings in disguise, and so on. Not only can it be healing, but it can also be a learning experience. For this race, I needed to talk it out to realize how much the worry about the weather ahead of the race negatively affected my mindset going into the race. I also remembered so many good things that happened during the race when I was relaying the events to a friend. My two main goals after a rough marathon are to heal and to learn. Both of these happen for me when I find a way to put the experience into words. As important as it is to accept and mourn a bad race, it is equally important to celebrate the growth and accomplishments you achieved throughout your training. My marathoner husband/coach and I both keep training journals for this very reason. After this last marathon, I was able to look back through my workouts and see so much growth in my paces and strength. The heat of race day dampened those gains I had made, but it doesn’t mean they’re gone forever! No matter how terrible your marathon went, you grew through the training and that should be recognized. For me, on the way to this marathon, I set new PRs in both the 10-mile and half marathon. I ran in crazy weather conditions. I tackled more elevation than ever. These are not small things and they will serve me well moving forward. Find those things from your months of training and celebrate them! Upper body strength training – I’ve seriously neglected my arms. Time they did some work! Kitchen dance party – I turned on Moana “for the kids” and proceeded to dance + sing around the kitchen while making dinner. Best mood lifter ever. Choose a fun way to get those endorphins flowing. They make you happy. Elle Woods said it, so it must be true. As I’ve said before, don’t rush back into running after a hard race. That doesn’t mean you can’t start making a plan for what’s next. (Any other West Wing fans out there?!) I like to wait until a week or so post-race before I start making new plans to avoid rash decisions. Last week, I didn’t even think about my fall marathon or what I’m doing this summer. This week, I was ready to move on and the planning began. I had a good chat with my coach about goals for my fall marathon. I laid out my health-related goals for the summer before marathon training begins. I thought more about nutrition and strength training. I feel like this was an important next step in healing from race letdown. Because of this step, I can view that bad marathon as stepping stone leading me to something better. What doesn’t kill you makes you stronger, right? Never have I felt this more deeply than in running. We get knocked over, we flame out in a race, we miss that PR, we get injured…but we don’t give up. We process, we heal, and we move forward smarter and stronger than before. It’s what runners do. 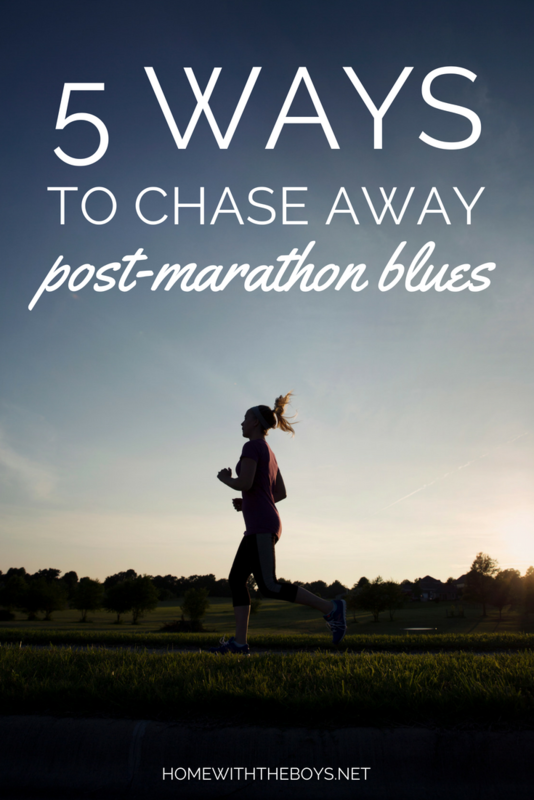 How do you deal with the post-marathon blues?